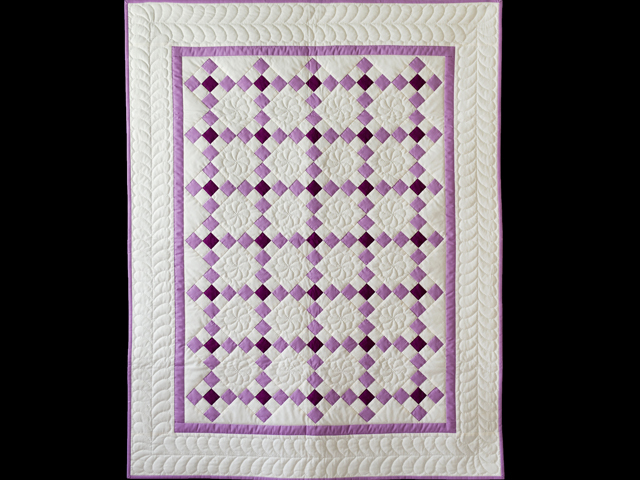 A fantastic traditional quilt with soft, pretty colors. 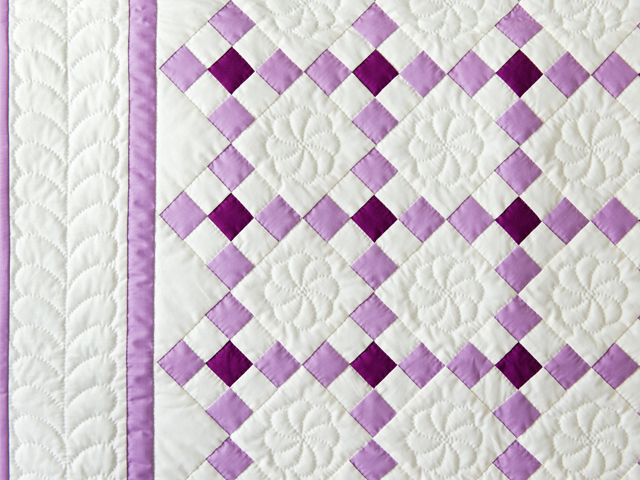 Precise patchwork piecing. 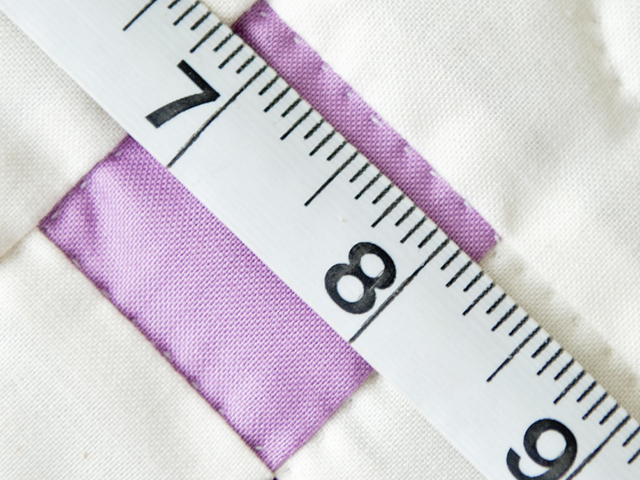 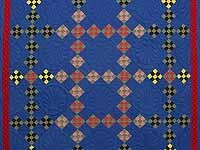 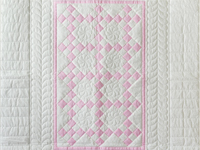 Be sure to notice the exceptionally tiny and neat hand quilted stitches. 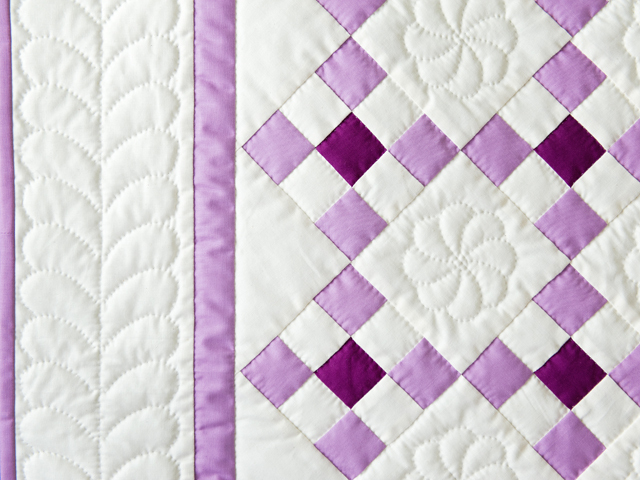 The quilt top was made by Lancaster County, Pennsylvania Mennonite quilt designer Connie Lapp and hand quilted by a Mennonite friend. 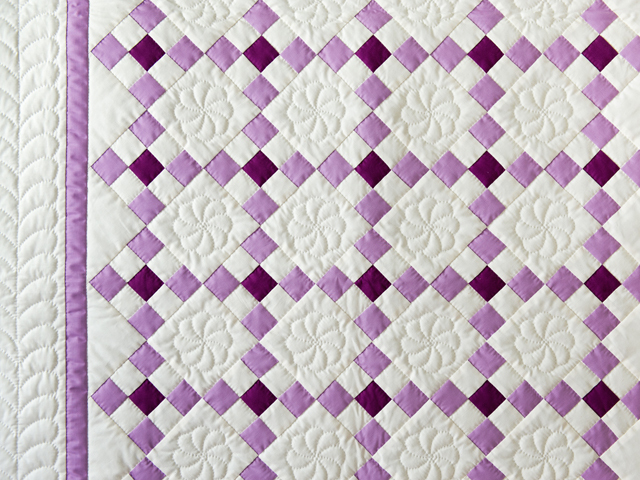 The back is covered with the same natural fabric as used on the front. 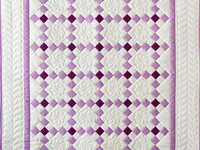 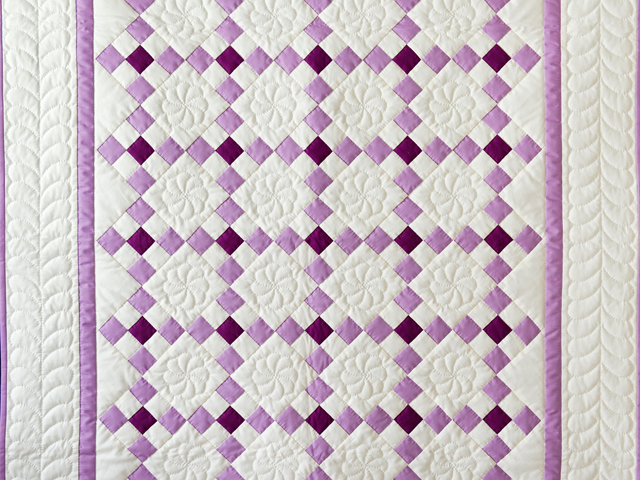 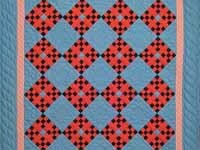 This quilt would look great as a wall hanging, throw or crib quilt.